My nephews, ages 9 and 11 accompanied me to the shelter recently. Nathan, the eldest pointed to this cat and said he was majestic. Is that cute or what?! Gotta love the boy with a good vocabulary. By golly, he IS rather majestic! He reminds me of my Hamilton...who WAS indeed the King of Coolest Cats! May he rest in feline peace. 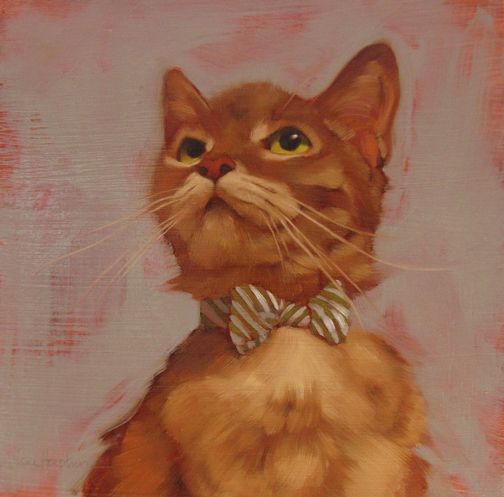 Your kitty really looks dapper sporting his regal togs! Majestic is a fantastic word to hear coming from a kid. I love that.